Directed by Rupert Murray, The End Of The Line is the world's first major documentary about the devastating effect of overfishing and examines the imminent extinction of bluefin tuna, brought on by increasing western demand for sushi; the impact on marine life resulting in huge overpopulation of jellyfish; and the profound implications of a future world with no fish that would bring certain mass starvation. The film provides a dramatic expose of those in the fishing industry and politicians who are failing to protect the worlds fish stocks. Scientists predict that if we continue fishing as we are now, we will see the end of most seafood by 2048.
early 1990s led to the decimation of the most abundant cod population in the world, how hi-tech fishing vessels leave no escape routes for fish populations and how farmed fish as a solution is a myth. Filmed over two years, The End of the Line follows the indefatigable investigative reporter Charles Clover as he confronts politicians and celebrity restaurateurs, who exhibit little regard for the damage they are doing to the oceans. One of his allies is the former tuna farmer turned whistleblower Roberto Mielgo – on the trail of those destroying the world’s magnificent Bluefin tuna population. 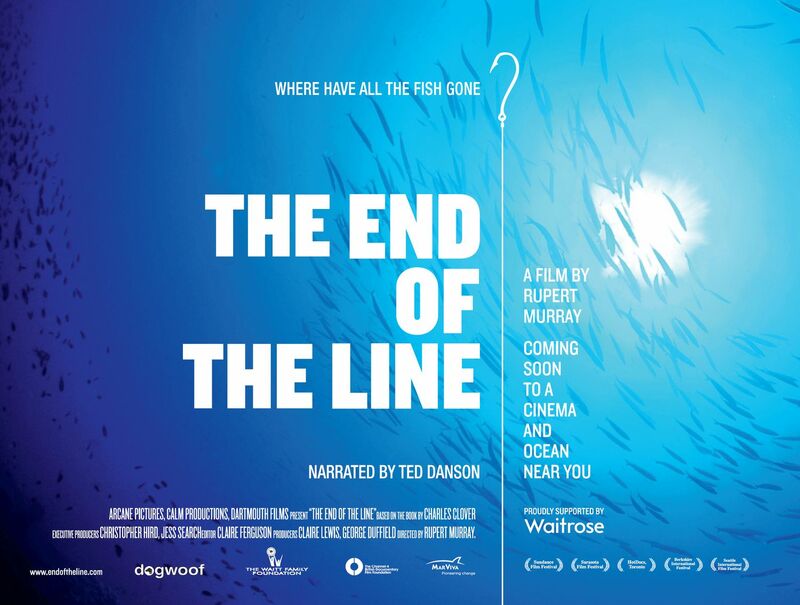 Filmed across the world – from the Straits of Gibraltar to the coasts of Senegal and Alaska to the Tokyo fish market – featuring top scientists, indigenous fishermen and fisheries enforcement officials, The End of the Line is a wake-up call to the world. illegally and the global fishing industry that is slow to react to an impending disaster. corporations and governments can take, and concludes on an optimistic note.